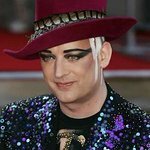 Boy George, The Feeling and Pete Townshend are among the artists on board to rock the Royal Albert Hall next month for The Prince's Trust Rock Gala supported by Novae. The gala – one of the most important fundraisers in The Prince’s Trust calendar – will take place on 23 November to raise vital funds for the charity’s work with disadvantaged young people. A long list of Prince’s Trust supporters are set to collaborate at the gala including singer songwriters Chris De Burgh, Julian Lennon, Cerys Matthews, Alison Moyet and Joss Stone, rock legends Kenney Jones, Mark King and Midge Ure, urban saxophonist YolanDa Brown and classical music star Charlie Siem. The fundraiser will be hosted by presenters Edith Bowman and Patrick Kielty with a special appearance from comedian and musician Tim Minchin. The evening will mark the tenth Rock Gala in The Trust’s history. Launching in 1982 and continuing until 1990, the galas attracted the support of iconic well wishers such as Paul McCartney, Mick Jagger, Elton John and Tina Turner. 2010 saw the historic fundraiser launch again for the first time in 20 years, with appearances from music legends Eric Clapton, Brian May and Phil Collins. The evening raised £600,000, taking the total sum raised by the nine galas to £3.5m. Pete Townshend said: "I’m delighted to be able to play at this year’s concert, nearly 30 years after I helped George Martin organise the very first Rock Gala in 1982 with Kate Bush, Robert Plant, Phil Collins and others. The following year was the extraordinary pairing of Madness with Duran Duran. Those were exciting times. The next engagement for me was at a Prince’s Trust concert in Hyde Park in 1996 when I presented the first full-length concert version of my rock-opera Quadrophenia. This event led to The Who reforming after a long separation. Another exciting time for me. The Trust has helped so many young people I have met. It has done so in simple, direct and practical ways. 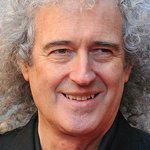 The Trust’s music events have always played a vital role in educating the public about what The Trust does for young people every day." Tickets to The Prince’s Trust Rock Gala 2011 supported by Novae, can be booked by calling the Royal Albert Hall on 020 7589 8212 or visiting royalalberthall.com. Tickets are priced from £30 to £80 with box hospitality and VIP & fine dining packages available. The Prince’s Trust Rock Gala supported by Novae will be on Sky 3D and Sky Arts 1 on Christmas Day at 9pm.